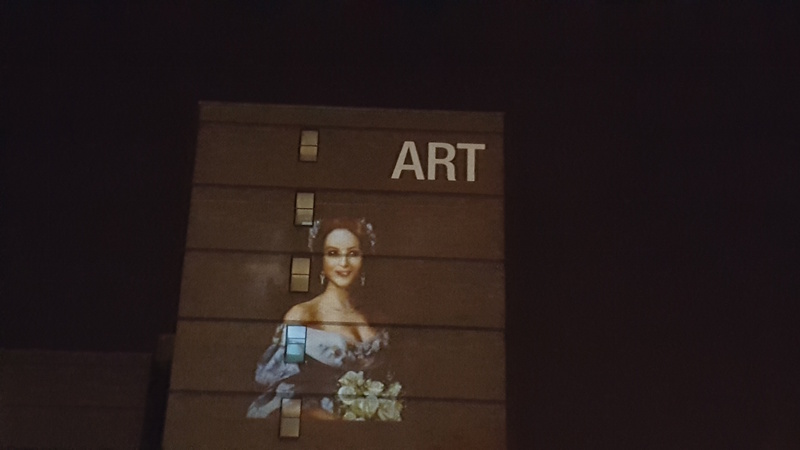 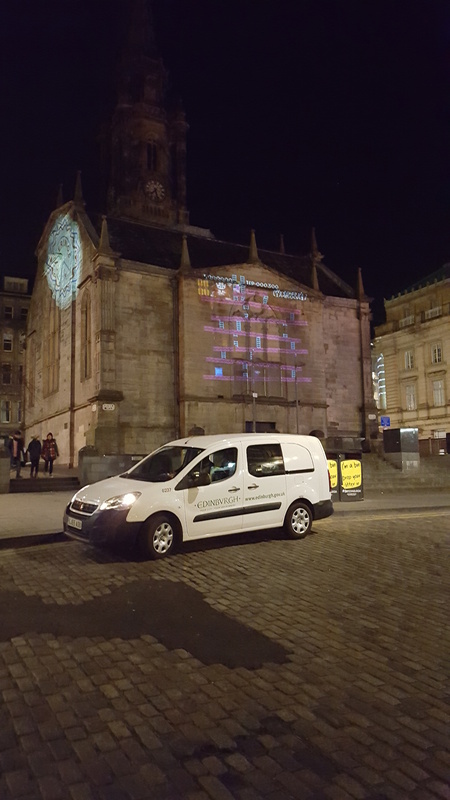 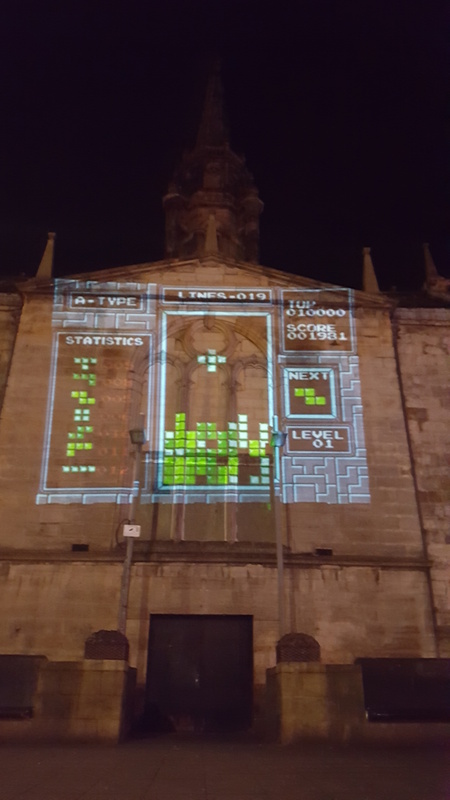 Was out playing Tetris on the side of one of the oldest and well known buildings in Edinburgh last night. 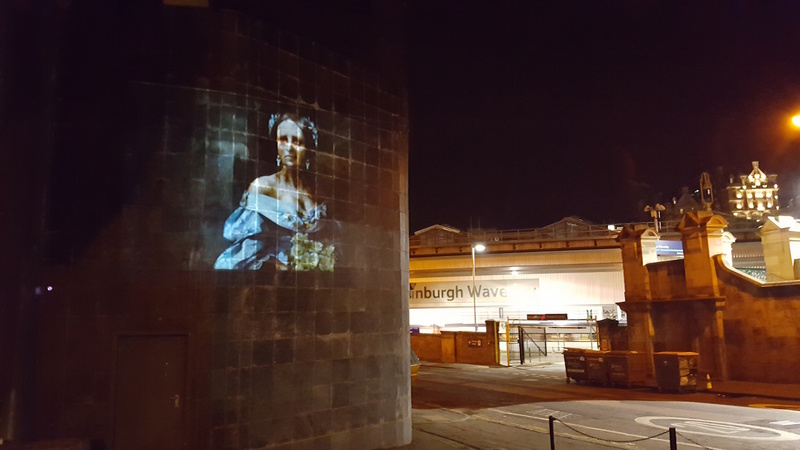 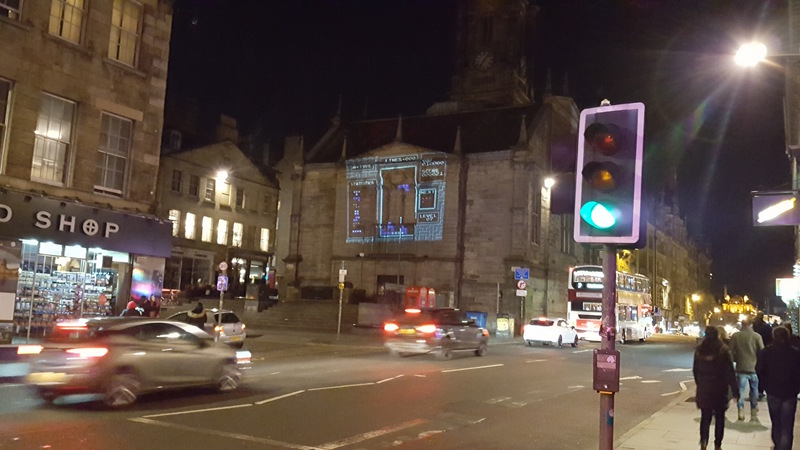 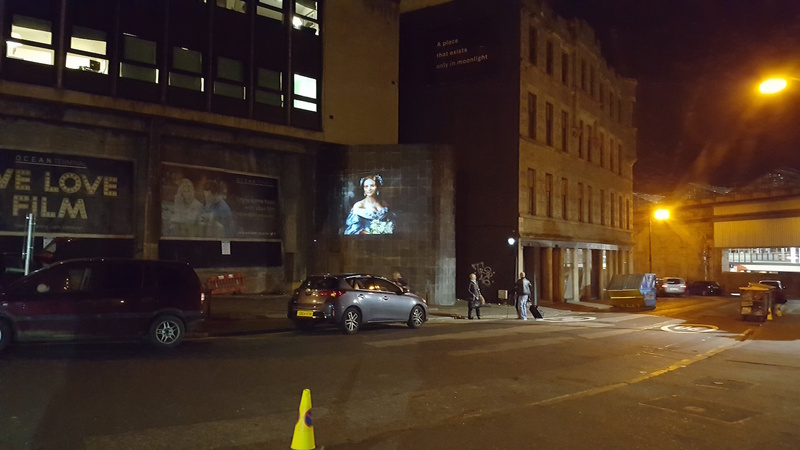 In association with Guerrilla Projections and Monkey Barrel Comedy on Blair Street to promote the Retro Gaming Sunday sessions they have launched. 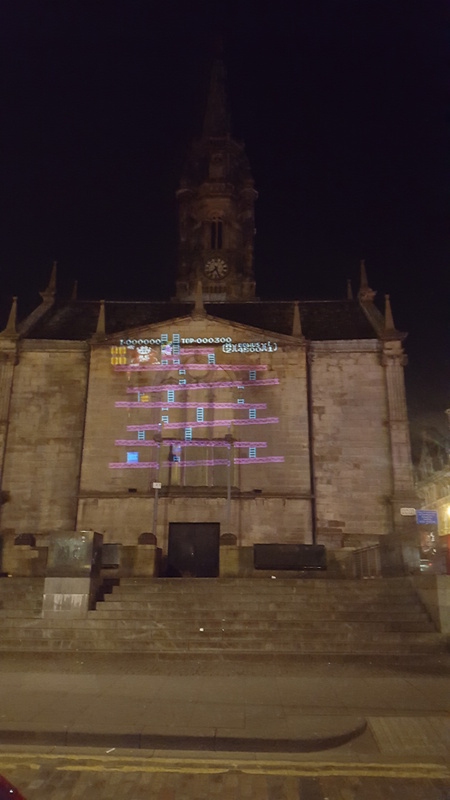 Also some good old Donkey Kong too. 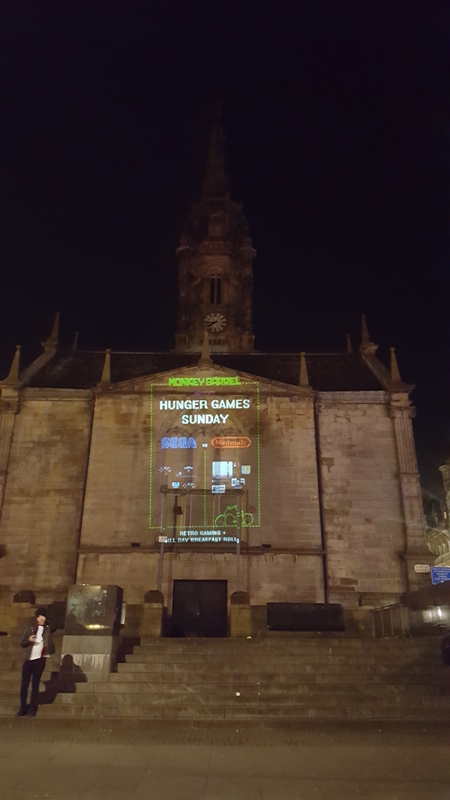 If you would like a lazy Sunday of retro games, buttery rolls and great coffee then Monkey Barrel in Blair Street is perfect. 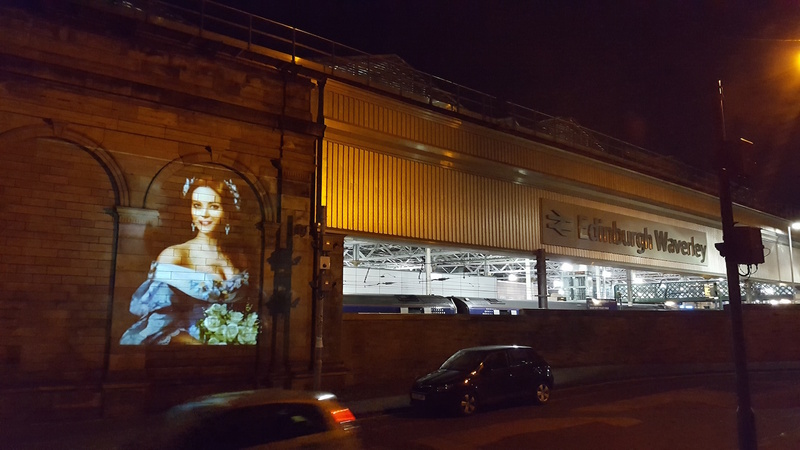 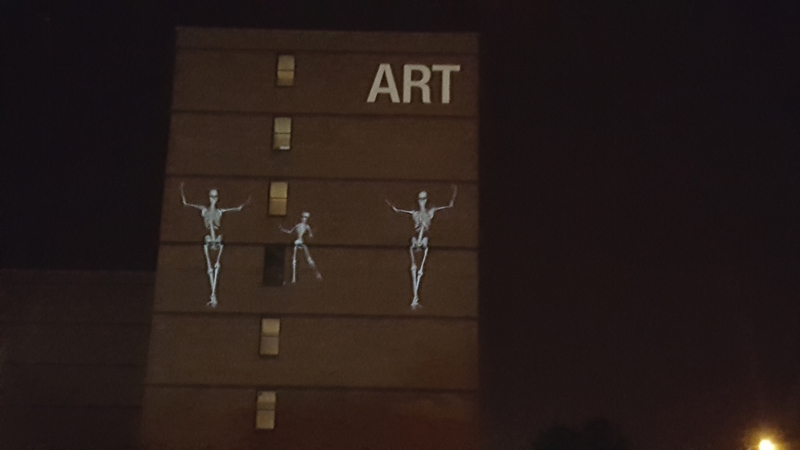 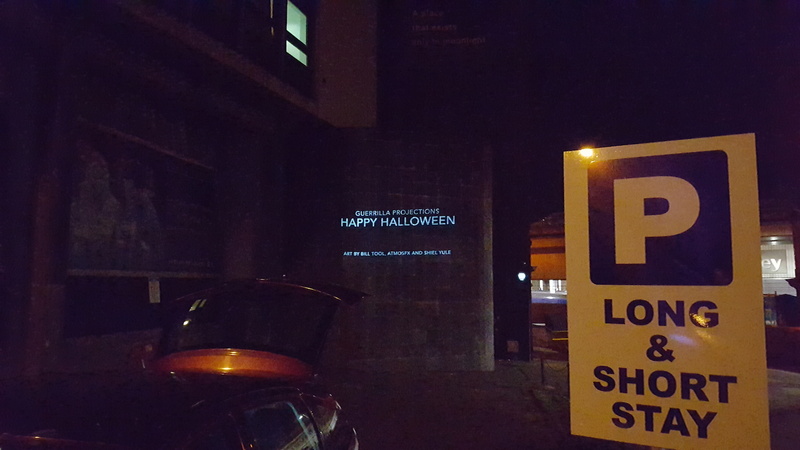 out and about with Guerrilla Projections and some spooky Halloween projections.